Are you looking to download a windows 7 Theme For XP? Then here is one excellent pack that gives you windows 7 visual styles with super-bar, windows 7 start orb, windows 7 task-bar and gorgeous windows 7 wallpapers for your Windows XP. 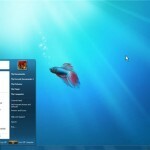 If you are already on windows 7, you can try out the various free themes for windows 7. One shouldn’t miss to check out this cool windows 7 mac theme for the ultimate Mac looks on windows 7 and vista. If you do get impressed with the collection of free windows 7 themes and decide to upgrade your OS, check out this article on how to get windows 7 for free. Unfortunately, the free windows 7 upgrade is no longer available, but you do have a few other options to try windows 7 for free. Windows 7 Vi Start Skin. 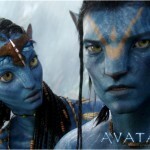 To enable third party visual styles, You would first need the UXTheme Multi-Patcher. Also, get the Styler Toolbar here.This can entirely change the look and feel of the Windows XP’s toolbar. So, you can change your toolbar to make it look like Windows 7. With this Windows 7 theme For XP, you get a perfect looking Task-bar, Tray Icons, Quick launch Buttons and windows 7 start orb. Enjoy the Windows 7 theme For XP. Check this video on how to install it. These are the instructions that are demonstrated in the video. 3. After downloading it, extract the zip file with winrar, winzip etc. 6. Double click UxTheme Multi-Patcher in the extracted “uxpatcher” folder. This will patch system files for applying any third party theme.Restart the computer. 7. Go to visual styles folder, copy the “Windows Se7en” folder and the theme file “Windows Se7en” and paste it in c:\windows\Resources\themes folder. 8. Click on the “Windows Se7en” theme file. The theme should have been applied.If not, do step 9 else go to step 10. 9. Go the extracted theme folder – “windows-7-with-superbar-for-xp”. Get into the wallpapers folder and set any one of the wallpapers as desktop background.You can do this by right clicking the chosen wallpaper and selecting “Set as Desktop Background”. 10. Go to the extracted viglance folder – “Viglance OneStep V1” and double click ViGlance OneStep application. You can also check out the XP theme For XP to get Windows 7 looks or another Windows XP Theme called Seven Skin Pack 2.0 Ultimate. 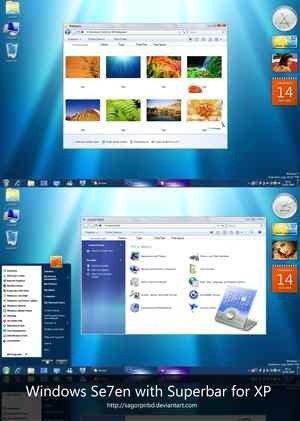 If you like to use windows 7 themes and some of its new features check out this – Windows 7 Themes, Aero Snap, Aero Peek and Aero Shake for XP and Vista. Related Tags: Windows 7, Free Themes for XP. How to get Windows XP theme for Windows 7 (update)! Thanks for sharing this. Looks beautiful on my computer! I like this theme for xp. Thanks for sharing.